These open poly drums are made in a variety of sizes and are available in a variety of colors. 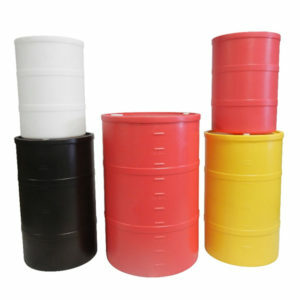 These open poly drums are available in 6 colors and a variety of sizes, with a capacity of up to 55 gallons. These open poly drums are made with 100% recyclable polyethylene, are food grade and rustproof. The open poly drums also come with a galvanized locking band and a urethane gasket. 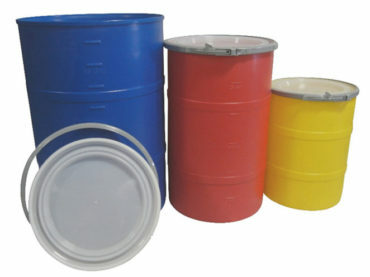 These closed poly drums are made in a variety of sizes and are available in a variety of colors.